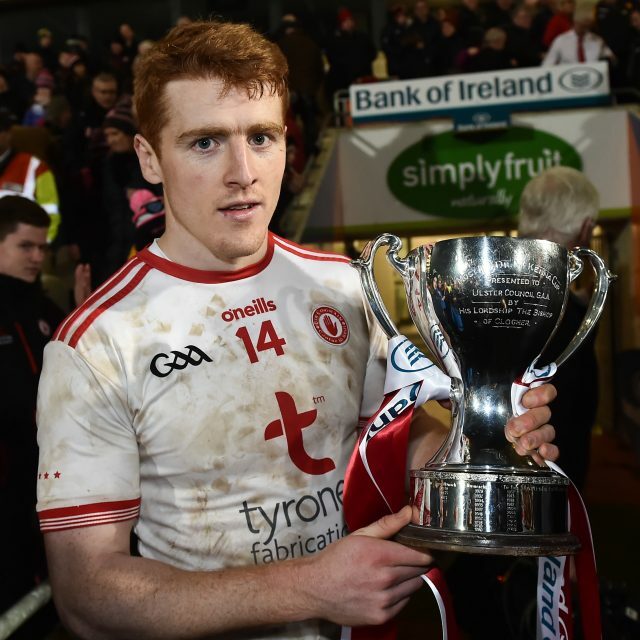 Tyrone claimed a seventh Bank of Ireland Dr McKenna Cup in eight years on Saturday evening thanks to a two point victory over Armagh at the Athletic Grounds. A crowd of 11,318 people packed into the venue for a closely fought and at times fiesty contest between the neighbours. It was Armagh who started the stronger with Niall Grimley, Rory Grugan and Stefan Campbell helping the Orchard County into a 0-5 to 0-1 lead early on. 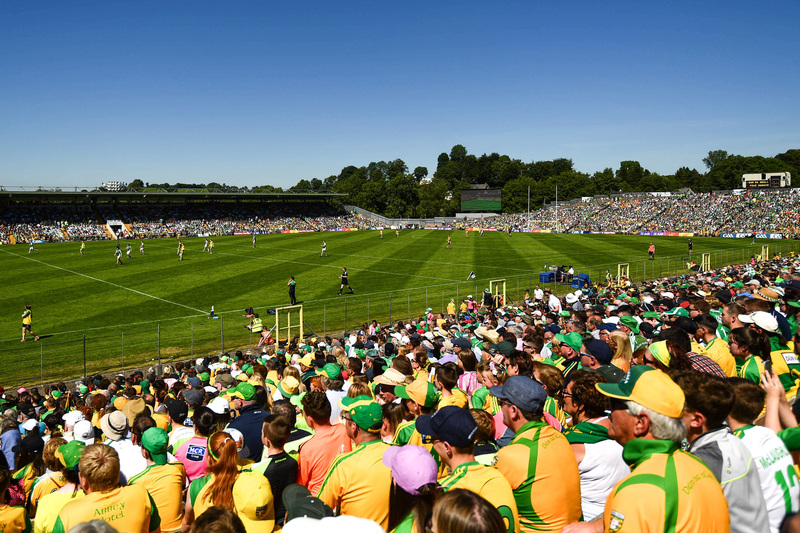 Tyrone began to settle to their task and Niall Sludden, Darren McCurry and Cathal McShane were all on target for the visitors to help their side back on terms. The Red Hand county would eventually lead at the break 0-9 to 0-6 with McCurry adding the last two points of the half from placed balls. 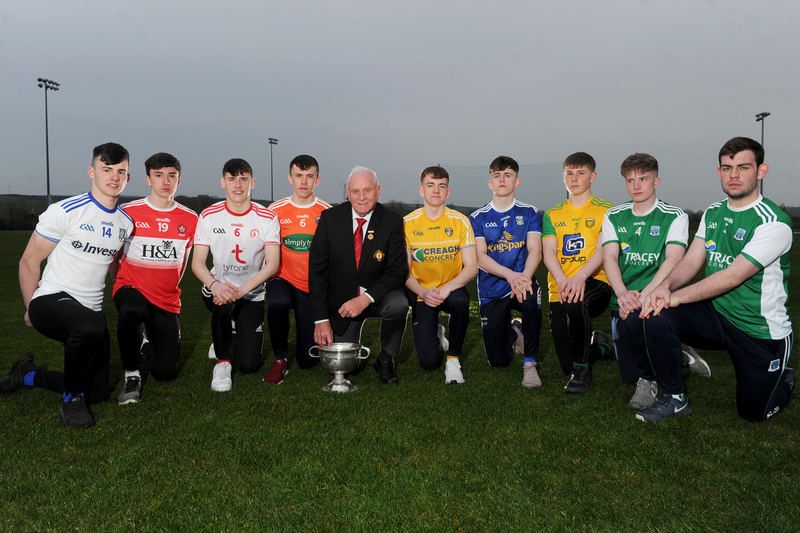 The second half was a fascinating encounter with Tyrone initially holding Armagh at arms length, McCurry and Ronan McNamee among the points scorers. Armagh however leveled the game midway through the second half with points from Rory Grugan, Rian O’Neill and Jamie Clarke all proving accurate for their side. 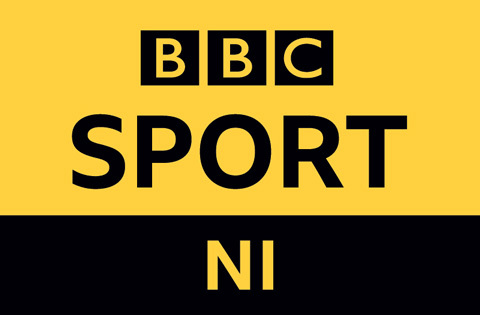 The game threatened to boil over on occasion with Armagh’s James Morgan and Aaron McKay and Tyrone’s Ronan McNamee all sent off. While Darren McCurry proved accurate for Tyrone from placed balls in the closing minutes, Armagh missed a number of great chances not least a penalty which Rory Grugan put over the crossbar. Cathal McShane kicked a point from late mark to seal a 0-16 to 0-14 win for the O’Neill County. 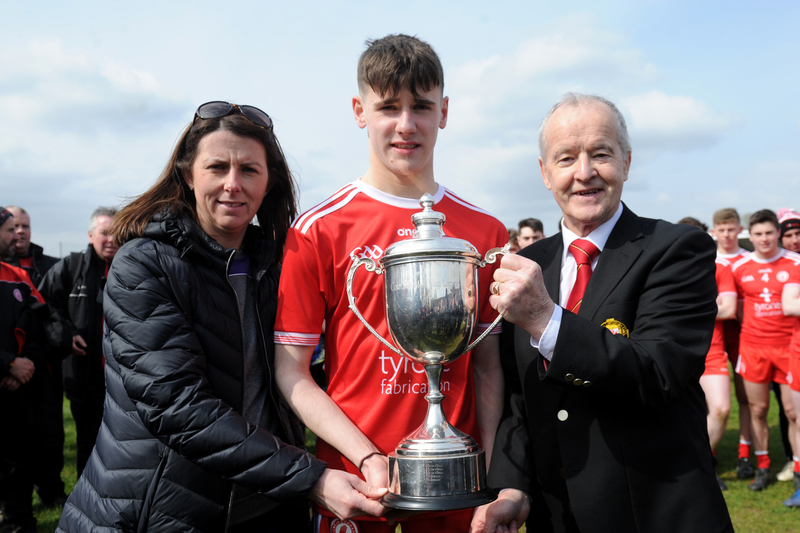 Peter Harte, Tyrone captain, then received the 2019 Bank of Ireland Dr McKenna Cup from Ulster GAA President Michael Hasson and Eugene Kearney from Bank of Ireland. 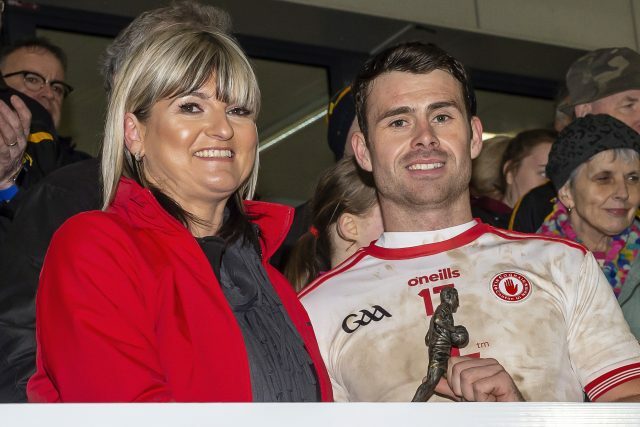 Darren McCurry received the Bank of Ireland Man of the Match award from Geraldine O’Hagan of Bank of Ireland.